Amijade laments about killing the infamous Deathwing and how he would have made a great mount. May he also always be admired for his “Rule the World” and “Burn it all” attitude. A few weeks ago there was a big buzz in the warlock community concerning the glaring population numbers dangling there in cyberspace for all to see. 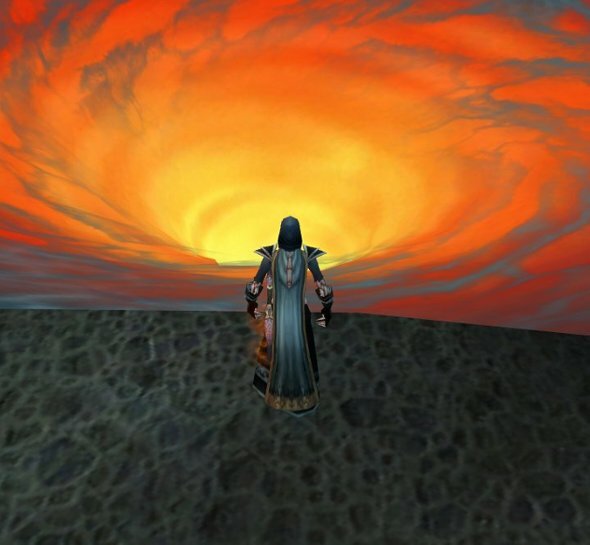 When you look at the breakdown of WoW players into their respected categories our beloved class was ranked as the least played and represented along with rogues. Warlocks ranked at 6%. The next lowest rank came to be Shamans at 8%. I’ve thought about this fact and read many of the discussions. Cynwise at http://cynwise.wordpress.com and many other famous Warlocks took up the cry and generated lots of dicussion. In my mind I’m still not clear why this is the case. Do you think people are more inclined to move to “Flavor-of-the-patch-buffed-by-the-blizzgods” type classes. 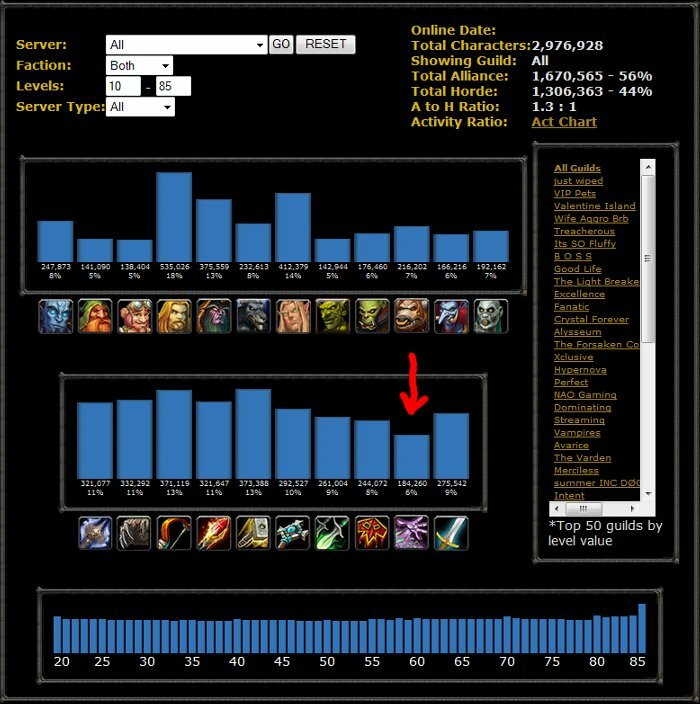 You know what I mean…the classes who after a patch rise to glorious heights on the dps meters? Yes, I know some ‘locks are rocking the charts in raids and making us all very proud but in “general” number crunching terms our Dps isn’t astounding and the numbers of players who are playing warlocks is a true minority. Granted we’re not in what some refer to as the Warlock Glory Days of Burning Crusade but to me the class is still fun to play and I don’t plan on walking away. Now I don’t want this to become one long grip section about how “Blizzard hates locks” but I would like to hear from you about what you think. Are warlocks broken? What’s your favorite class to make fun of in-game?